The AAAA Annual Summit opens Sunday at the Gaylord Opryland Hotel & Convention Center, Nashville. This is the major annual symposium for Army Aviation. Attendees include active duty and retired soldiers, industry, acquisition, the R&D community, and representatives in maintenance, logistics simulation, Special Operations, electronic warfare, training and doctrine, MEDEVAC, Army National Guard, U.S. Army Reserve and Army Aviation leadership. NCS is the leading HP Partner offering HP 3D Printing Solutions to the federal marketplace. NCS sells and services the compact HP Jet Fusion 580/380 Color and HP Jet Fusion 4200 Printing Solution for industrial prototyping and final part production. One of the most important applications for 3D printing is nearly effortless prototyping. In addition, 3D printing speeds time to market by making certain production-level quality parts available more quickly. These parts may also be manufactured at lower cost. The combination of prototyping, speed and high quality increases business flexibility. NCS closely collaborates with HP on some of the largest, most complex federal government contracts involving printers and PCs. The company has a strong track record of delivering value-added services and creating a high level of customer satisfaction. NCS manufactures servers, rugged servers, appliances and engineering services solutions for government agencies and all branches of the military. NCS expertise extends to rack integration. Our turn-key solution is used by large system integrators serving the military and in complex environments in both ship-based and shore-based data centers. Rack integration requires unique skills in power load balancing, cable routing, and weight load balancing to ensure the safety and performance of the equipment. Also at the booth, NCS is promoting its leading portfolio of desktop virtualization solutions. NCS is the world leader in PCoIP zero client technology products. NCS zero clients are widely installed in many government and commercial settings. Our customers are sold on demonstrated manageability improvements, lower cost of ownership and improved security. To make an appointment on the booth, please call Erin Dunn at (571) 571-7737. 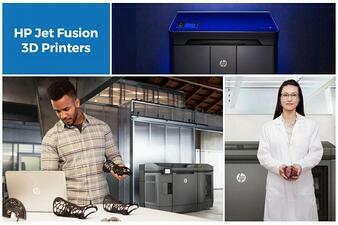 To learn more about our HP 3D Printing Solutions, please download this brochure.